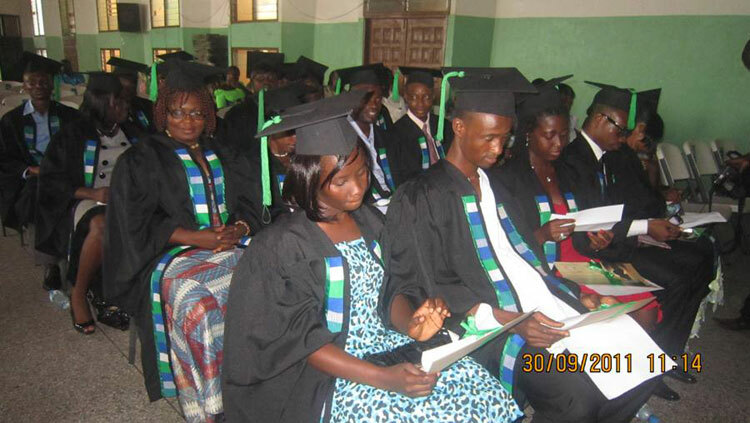 Accra, Sept. 30, Ghana News Agency – The Nurse Anaesthesia Training School of the Ridge Regional Hospital on Friday awarded Higher Diploma certificates to 19 graduates of the School at its first graduation ceremony in Accra. Having undergone 18 months of intensive theoretical and practical training in courses including Basic and Advanced Principles of Anaesthesia, Pathophysiology, Anatomy and Research Pharmacology of Anaesthetic Agents and Adjuvant Drugs, the graduands were fully prepared to provide professional services to enhance quality health care in the country. Dr George Acquaye, former Medical Superintendent of the Ridge Regional Hospital, congratulated the graduates for the successful completion of their training. He urged them to exhibit a high sense of professionalism in their practice and deliver exemplary cost effective patient care that would help speed up interventions aimed at achieving the Millennium Development Goals by the year 2015. Dr Acquaye said the idea of establishing the School came in at a time between the years 2004 and 2005, when the Ridge Hospital was facing severe challenges with the limited services received from anaesthetics. He said medical surgeons had to queue for long hours for such services before they could perform effective caesarean sections and this led to a lot of pressure and stress on the few anaesthetics that had to work for long hours. Dr Acquaye explained that the establishment of the school on October 28, 2009 was to complement the effort of the three other training institutions, which were the Korle-Bu and Okomfo Anokye Teaching Hospitals and the 37 Military Hospital. He said an enhanced course structure had been designed and was currently being used by the three training institutions to bring up a new crop of professionals who would help to propel Ghana’s health care system to a higher level. Nii Armah Ashittey, Greater Accra Regional Minister, in a speech read for him, commended the key collaborative players, including the Kybele Group, a US-based company for providing technical assistance and educational materials including text books and teaching aids and also participating in the curriculum development of the school. He reaffirmed government’s commitment towards ensuring the provision of the necessary resources needed for effective teaching and learning by such training institutions, emphasizing that “such career enhancement programmes thrives on the provision of all the necessary resources including descent classrooms with well resourced and motivated lecturers”. The Regional Minister encouraged the graduands to lead responsible lives worthy of emulation and also draw aspirations from the lives of the numerous patients whose lives were saved by virtue of their work as professionals. Mr Ebenezer Appiah-Denkyrira, Director, Human Resource, Ministry of Health, underscored the urgency of training more professionals to manage and provide quality health care delivery in Ghana. He stressed that this was critical if Ghana was to achieve the MDGs by the stipulated time and gave the assurance that the Ministry would facilitate the needed collaboration and set the stage for enhanced training of health professionals in the country. Prizes were presented to the best students in Academics, Best behaved student and the overall best student, while a citation was also presented in honour of the Kybele Group and Professor Irene Agyepong, Regional Director of Health Services for the various roles they had played in the establishment of the School and towards quality health delivery.